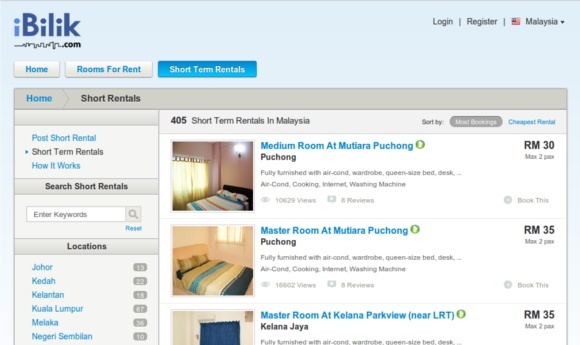 AirBnb’s website has a tool to help homeowners gauge their expected weekly income and according to this, the country’s chart-toppers are those in Langkawi who can make RM2,801 (S$939.2) a week, followed by those around Malacca’s Jonker Walk (RM2,495 a week), according to AsiaOne news report. Close behind are Penang home-shares in Tanjung Tokong (RM2,494) and Pulau Tikus (RM2,449). In Bukit Bintang in Kuala Lumpur, they can expect to earn RM1,676 weekly, while those near Taman Pelangi in Johor Bharu can expect RM2,287 a week. This alone has shown why it is time for you to join in the booming business and earn extra income from your property. Priceline Group (Nasdaq: PCLN) who owns and operates Booking.com™, is the world leader in booking accommodations online. Each day, over 1,000,000 room nights are reserved on Booking.com. The Booking.com website and apps attract visitors from both the leisure and business sectors worldwide. With free registration to list your property and 24/7 multilingual assistance from the company, you can easily list your property and score high chance of getting guests to increase your revenue. To start your listing in Booking.com, click here now! Hostel Hunting is the online marketplace for student accommodation, a start-up headed by Loke Weng Leong, Keek Wen Khai (better known as Khai), Joey Lim and Marcus Low. 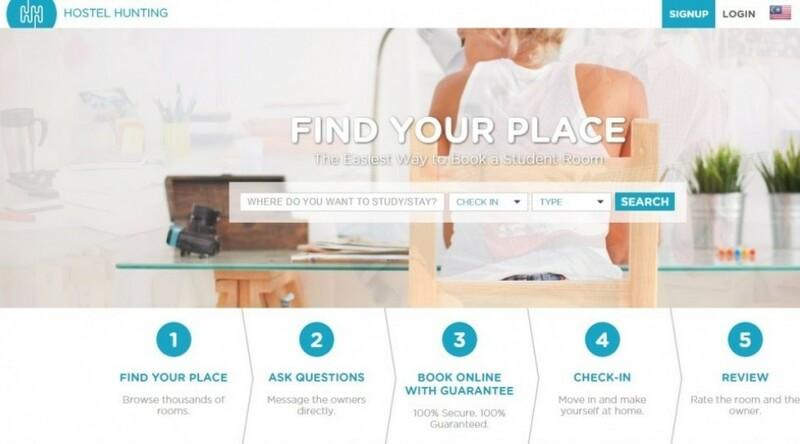 It is currently the fastest and easiest way to find and book a student room. Providing thousands of verified rooms from hostel owners/operators and educational institution, this website is particularly useful for those who stay nearby universities or colleges, and seeking students as tenant for their extra rooms as well. According to The Star report, Hostel Hunting is not involved in the tenancy agreement between the tenants and landlords. It is important that both parties post genuine information on their properties and profiles and they also have to reach a mutual agreement for a room to be booked. Powered by TripAdvisor.Inc, an American travel website company providing reviews of travel-related content, TripAdvisor’s Rentals will allows you to gain exposure to over 350 million TripAdvisor travellers a month for higher possibility of getting your property booked. Owners pay a booking commission of 3% (excl. value added tax). The booking commission is retained from the rental cost you’ve set up on your account. The steps are as easy as listing your property on other websites and you will receive payments from the company 24 hours after the guests start their holiday. 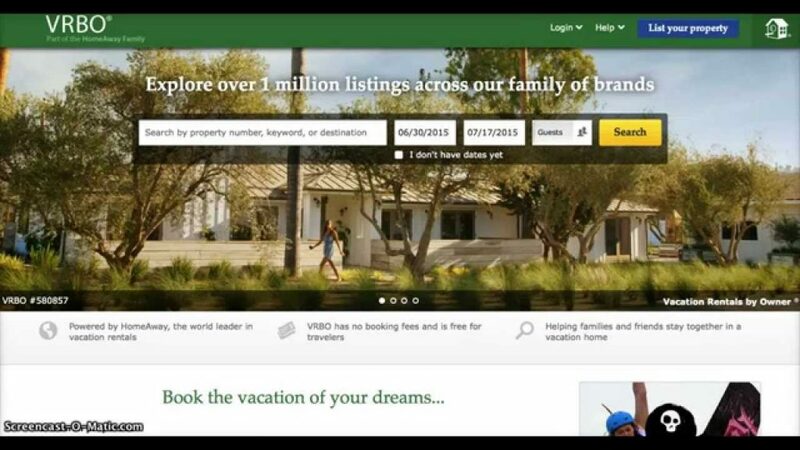 VRBO can offer you exposure to more than 44 million travellers per month through its international network which includes 25 sites around the world, including three of the top vacation rental sites in the United States, as well as France, Brazil, Australia, Germany, England, Canada, Mexico, Spain, Italy, and more. Interestingly, it doesn’t have to be a house up for listing in VRBO. According to its website, acceptable rental properties include houses, condos, and villas, as well as barns, boats, bungalows, cabins, castles, chalets, chateaus, cottages, estates, mansions, yachts, and yurts, and other structures travellers may want to rent for their whole vacation. Possibly the local property listing website with largest market share in Malaysia, iBilik.my also offers short term rental listing to the public now. By listing your place and get approval within two working days, the team in iBilik.my will handle the promotion, online booking, and payment collection of your property, while you just sit back and wait for guests to place bookings for your unit. The steps on how to list your property for short term rental can be found here. 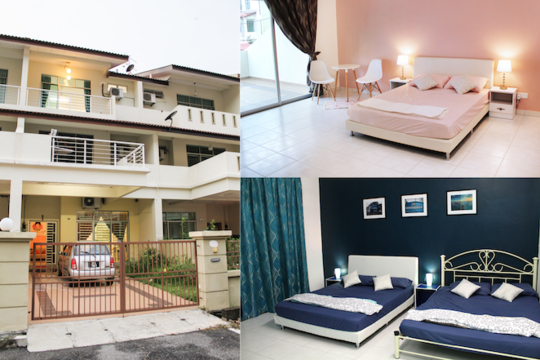 Homestay.com is an accommodation marketplace designed to connect guests to local hosts in over 150 countries and Malaysia is definitely one of them. One of its unique features is that the website has its own video chatting tool which allows guest and host to communicate even before the booking. By creating account in its website and complete your profile with as much as information as possible, you will be able to start hosting these travellers from all around the world and make extra income as well as new friends too. Homestay business is expected to be overtaking hotel business in the near future and if you are smart enough to benefit from this trend, you should be looking at ways to redecorate the extra rooms of yours and boost your income from listing it for travellers. However, it is utterly vital that you check out the terms and conditions upon signing up for this business to avoid any unwanted inconvenience that could jeopardise your properties and finance.